Drew was born and raised in Fort Walton Beach, Florida, where he attended Choctawhatchee High School. He is the son of Vince Bruner, of Fort Walton, and Laurie Bruner, of Crestview. Upon graduating, he enrolled at Auburn University where he completed his degree in political science in preparation for law school at the University of Oklahoma College of Law, where he enrolled as a scholarship student in 2009. 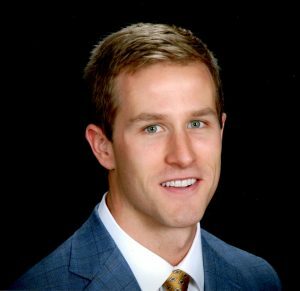 During law school, Drew worked as a licensed legal intern at the Cleveland County District Attorney’s Office where he gained valuable courtroom experience in criminal proceedings. Drew became a member of the Florida Bar in November of 2012, the Alabama Bar in April of 2014, and the Georgia State Bar in 2018. Drew is also licensed to practice in all Federal Courts in the State of Florida, the 11th Circuit Court of Appeals, and the Federal Circuit Court of Appeals, and the Supreme Court of the United States of America. Drew is AV Preeminent rated by Martindale-Hubbell, the benchmark in ethical standing for attorneys. Drew enjoys long marathon running, cycling, reading, and hunting in his free time. Drew is a member of the First United Methodist Church of Fort Walton Beach.